Made of the finest grade tungsten carbide, accurately fluted and honed to sharp cutting edges.Bur heads are brazed onto 3/32" steel shanks. 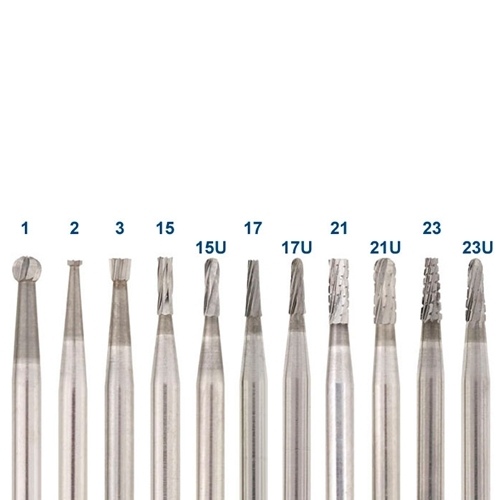 Busch Super Carbide Burs have coarse tooth structure and are designed to operate at very high speeds. All are end cut. Cannot be resharpened. Made in Germany. Quantity discount for orders of one item number only, not assorted.